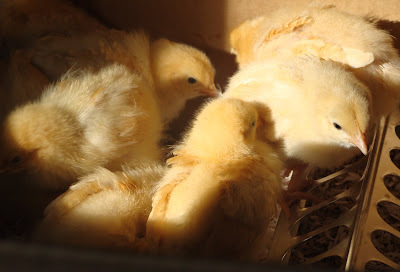 The chicks I'd ordered for the end of the month arrived a little early. Mike had a call on Friday to say that there were a dozen Buff Orpington females left over from the May 1 hatching and would we like them? We said 'yes' and Mike swung into action, buying chick feed, a heat lamp and a feeder and water-holder for them. 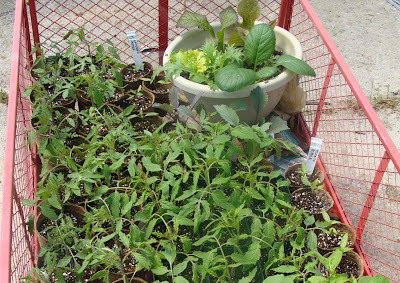 I'm hoping to sell these plants in Deseronto this weekend at the town's Sidewalk Sale event, so if you're in the area, pop by and say hello! The tyre/tire garden asparagus, which was planted last year, had also really taken off in the last week. 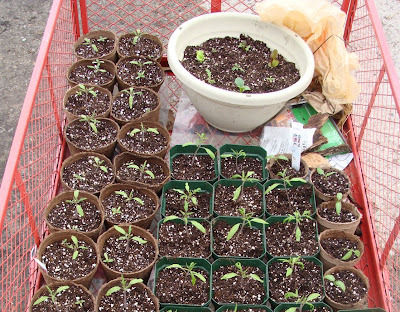 So much so, that despite dire warnings from my inner head gardener (does anyone else have one of those? ), who sternly told me that I shouldn't cut any until next year, I harvested a few spears tonight and we had them for tea. Delicious. Where is your spot in the Deseronto yard sale? I just might have to stop by. I love your chicks! I have 30 layers on order and they should ship June 1st. The chicks I have now are a special meat bird called a cornish cross. I can't wait to get the ones I can name. Your blog is great! I think all that you are doing to be self-sustainable is fantastic! You chicks are adorable! 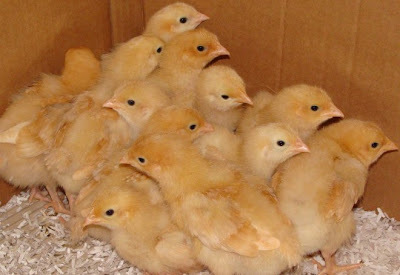 I am trying to persuade my husband into thinking that we need some chickens! No luck as of yet. 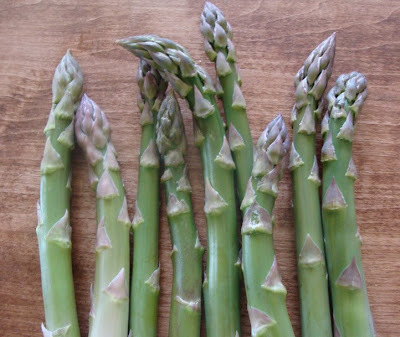 I was able to harvest some asparagus for the first time this spring, and it is absolutely delicious! Happy gardening!! I would have found the Asparagus hard to resist too.